Categorie: Action Figures. Etichete: action figures, collectibles, KAI ACTION FIGURES, MINIATURES. 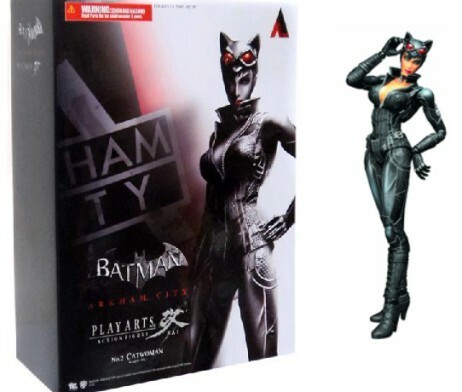 From the acclaimed video game Batman: Arkham City comes the sleek burglar Catwoman as a Play Arts ~KAI~ action figure. Featuring over 26 points of articulation, this exquisite figure comes to life with stunning poseability, interchangeable head & hands, and signature weapon accessories! 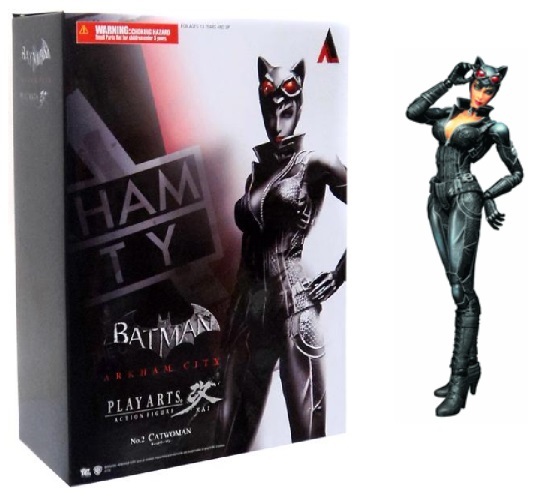 With unsurpassed quality of the paint application and detailed texture that only Square Enix products can bring, this figure would make a great addition to your Batman collection! Window box packaging.